I’ve returned to God’s family, excited and happy. My hands hold my beloved, my heart belongs to Him. Though I’ve passed through the Vale of Tears, I’ve seen God’s loveliness. My love for God grows day by day, God is the source of my joy. Bewitched by the beauty of God, my heart is attached to Him. I can never love God enough, songs of praise well up in my heart. brimming with the vital force of life. Living water flows from practical God, makes me provisioned with life. I can enjoy blessings from heaven, no more to seek, to search, to yearn. I am arrived in Canaan’s blessed land, beyond compare is my joy! My love for God brings me endless strength. Sounds of praise soar up into the sky, telling Him my love within. How beautiful my beloved is! His beauty captures my heart. Fragrance of my beloved makes me feel hard to leave Him. The stars are smiling at me in the sky, the sun is nodding to me from above. With sunshine, with rain and dew, fruit of life grows firm and ripe. God’s words, abundant and rich, bring sweet feast to us. God’s ample and full provision makes us satisfied. Canaan’s land, the world of God’s words; His love brings us unending joy. Fragrance of fruits fills the air. If you live here for a few days, you will love it more than anything. Never will you want to leave. The silver moon radiates her light. Good and happy, it is my life. The beloved One in my heart, Your loveliness is beyond all words. My heart’s in sweet love with You, I just can’t help but leap for joy. You are always in my heart, I will be with You all my life. My heart longs for You all the time; loving You delights my heart every day. O the beloved in my heart! I’ve given all my love to You. This entry was posted in Hymns of Experience and tagged God, hymn, Lord Jesus, The Church of Almighty God on 2017-01-28 by summer sunshine. God was incarnated as Almighty God, expressing the truth to judge and purify man. Now God has gained victory over the forces of Satan, God has conquered and gained a group of people. Praise God, almighty and wise, He has defeated Satan. Praise God, His righteous disposition has been completely revealed. All come to praise Almighty God, the lovely and practical God. We praise God, humble and hidden, He is so lovely! Praise You, Almighty God (praise God)! All come to praise You (praise You)! Praise You, Almighty God! All come to praise You! all nations and all peoples praise Almighty God (praise God). Sing and dance joyfully to praise Almighty God. The waves of the sea praise Almighty God (praise God). Birds in the air praise Almighty God. The universe and expanse praises Almighty God. All things created by God praise Almighty God. All nations and all peoples praise You! Praise You (praise You)! Praise Almighty God! 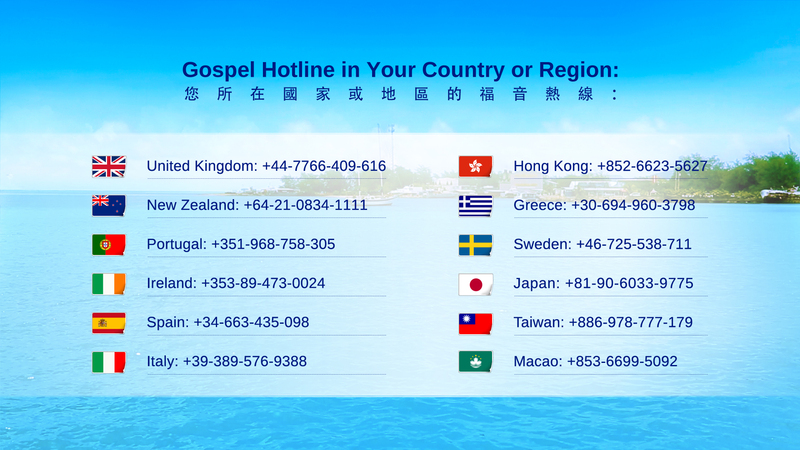 Eastern Lightning | The Church of Almighty God came into being because of the work of the returned Lord Jesus—the end-time Christ, “Almighty God”—in China, and it isn’t established by any person. Christ is the truth, the way, and the life. After reading God’s word, you will see that God has appeared. This entry was posted in Hymns of Experience and tagged Almighty God, Christ, End Time, Lord Jesus, music on 2017-01-28 by summer sunshine. “God is the Beginning and the End.” Only God Himself can usher in a new age and conclude the old age. Since the Lord Jesus opened up the Age of Grace and brought the Age of Law to an end, it has been two thousand years. During which, man has been living in the Lord’s grace and enjoying His love and mercy. In the last days, Almighty God has arrived. He has ended the Age of Grace and brought forth the Age of Kingdom; He has raised the curtains on the judgment before the great white throne, and thereafter mankind enters into a new era. Almighty God has descended with judgment. In His majestic judgment, all evil forces and the impure old world fall under God’s wrath and come to nothing, while those who long for the light and thirst after the truth will be granted purification and salvation in God’s judgment. The whole of the world is perfectly renewed! 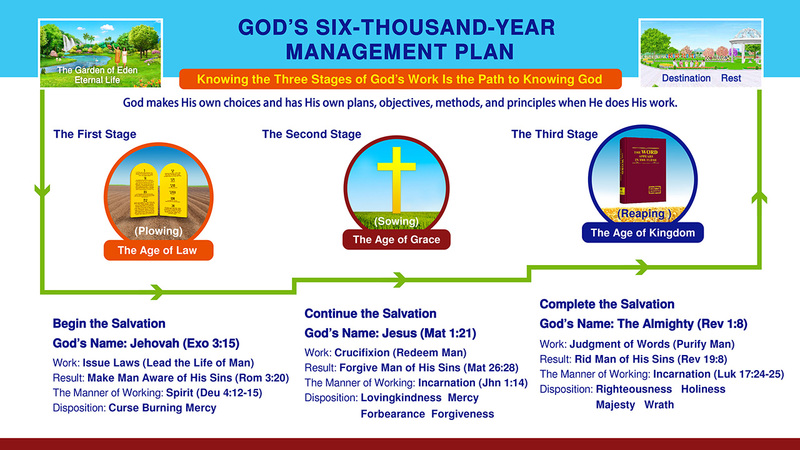 Almighty God accomplishes His six-thousand-year management plan. What a heartening moment! All peoples are singing joyfully for the accomplishment of God’s work, in praise of the only true God. This entry was posted in Albums of the Choir and tagged Almighty God, End Time, Gospel, Jesus Lord on 2017-01-17 by summer sunshine. The voice of praising will never cease, will never cease. This entry was posted in Articles, Single Tracks and tagged Almighty God, Lord Jesus, Praise, song, the last days on 2017-01-16 by summer sunshine. 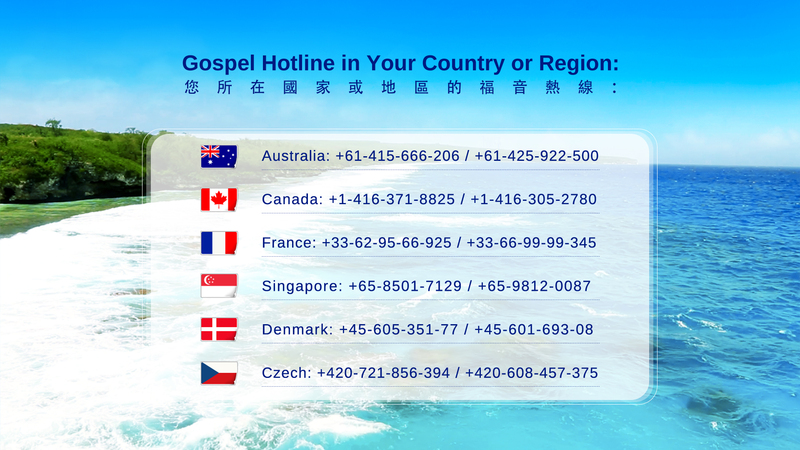 This entry was posted in Almighty God's Utterance and tagged Almighty God, Eastern Lightning on 2016-11-24 by summer sunshine. He tells them some truths. the way which man should keep. that they should practice, should adhere to. These are the reasons that God bestows His words upon them. they come from God Himself, so men should adhere. then they are not practicing the truth. then they cannot satisfy God. then such a man will have no outcome. 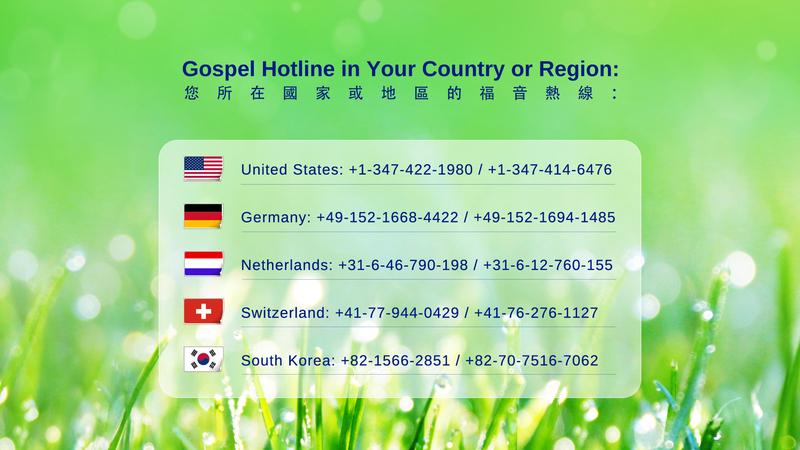 This entry was posted in Articles, Hymns of God's Word and tagged Almighty God, Eastern Lightning, God on 2016-11-18 by summer sunshine. 1. God’s mercy and tolerance indeed exist, but at the same time God’s holiness and righteousness in His casting out anger make men see His unoffendable aspect, make men see His unoffendable aspect, unoffendable aspect. When man can fully listen to God’s command and do as God requires, God bestows His mercy abundantly on man, God bestows His mercy abundantly on man. When man is full of, full of corruption and is full of hatred and hostility toward God, God will cast out His anger fiercely. To what extent will God cast out His anger? To the extent that man’s resistance and evil deeds will never again be seen by God or exist before God’s eyes. To what extent will God cast out His anger? To the extent that man’s resistance and evil deeds will never again be seen by God or exist before God’s eyes. Only then will God’s anger be gone. 2. No matter who a man is, if his heart has been away from God and has departed from God, being irretrievable, no matter how his body or his mind desires to worship God, follow God, and obey God outwardly and subjectively, once his heart has departed from God, God will constantly cast out His anger. Worse still, when God casts out His anger fiercely, when God has given man enough opportunities, God’s anger will not be withdrawn, and He will never, will never again give mercy and tolerance to such a man. This is the unoffendable aspect of God’s disposition. To the kind, beautiful, and good things He is tolerant and merciful; to the evil, sinful, and vicious things He will cast out His anger fiercely, even constantly, even constantly. These are the two principal and most prominent aspects of God’s disposition that He has been expressing from beginning to end: bestowing His mercy abundantly and casting out His anger fiercely. This entry was posted in Articles, Hymns of God's Word and tagged Almighty God, God’s word on 2016-11-15 by summer sunshine. How Will Prophecies About the Return of Jesus in the Bible Come True? What Kind of Book Is the Bible?